AND you stay away from baking powders with aluminum. What are the 3 Ingredients? 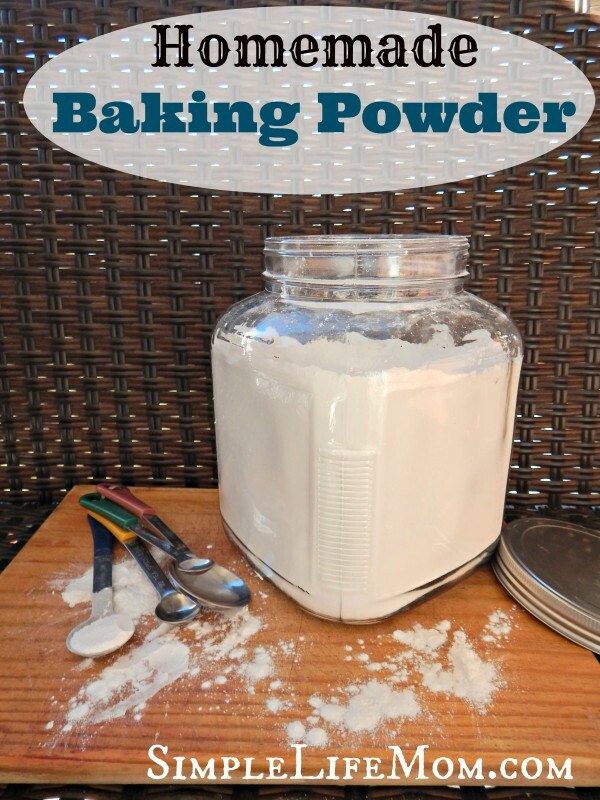 What is it and is it ok to use in my Homemade Baking Powder Recipe? Cream of Tarter is potassium bitartrate – or tartaric acid that has chemically reacted with potassium hydroxide. Kind of like how oil is busted open and transformed into soap through a chemical reaction with sodium hydroxide, tartaric acid is transformed into a type of salt when combined with potassium hydroxide. Crazy enough, it is found naturally in wine barrels after fermentation or at the bottom of wine bottles over time. Commercial Cream of Tartar is scraped off the barrels, heated, and then pulverized and processed. As far as I can tell in my research, what is used to process it is a type of sodium and then carbon. It seems as though it has been kept pure without any bleaching and other harsh agents. Thumbs up! In your grocery store, Cream of Tartar can be expensive, thus eliminating the frugal part of making baking powder yourself. But if you want to make your own baking powder in bulk and store it for use indefinitely, then buy Cream of Tartar online or at a local store that sells it in bulk. I’ve bought mine from Amazon HERE. Arrowroot powder is a natural alternative to today’s GMO cornstarch. If you don’t have Organic Corn Starch, then grab some Arrowroot Powder. Use in your baking powder, gravies, and any recipe that calls for cornstarch. You do not need to add the arrowroot powder if you are making a small batch to use right away. The arrowroot powder works to absorb moisture so that you can keep your baking powder in an airtight jar and store on the shelf. Combine all ingredients and store in an air tight jar in your cupboard. I’m going to make this! It is so easy! Thanks! Why do some recipes call for both baking powder and baking soda? Extra baking soda adds to the texture of what you are baking. For example, in cookies, baking soda helps them brown and makes them more crunchy. 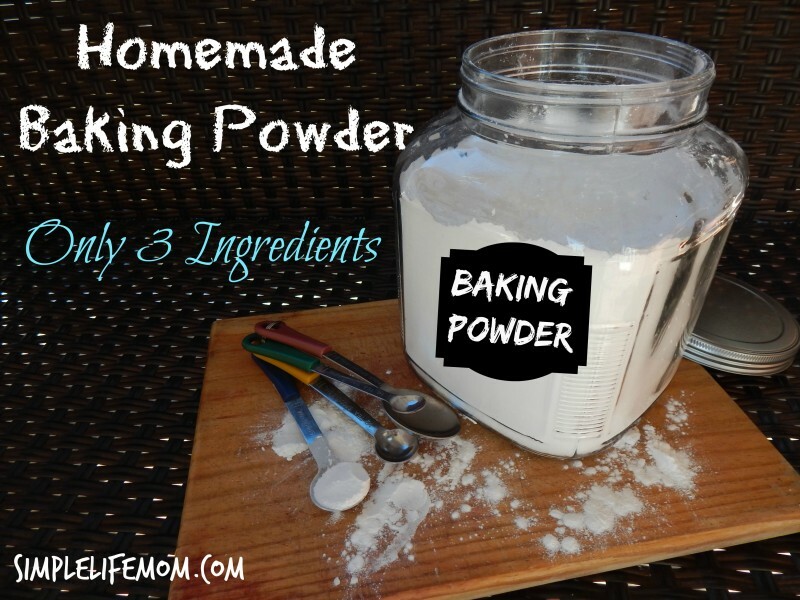 I’ve never made my own baking powder, pinning to try! How long will this stay fresh? With the added arrowroot powder or organic cornstarch it will keep indefinitely in a sealed container. I didn’t know you could make your own baking powder. What a great idea! I know. I love learning how to make everything possible myself! Does it work well in baking? Yes. It’s just like what you buy in the store. I would like to see a cost comparison. Thanks for posting. Hello from Mostly Homemade Mondays. How long is the shelf life for arrowroot powder, after its been opened? How do you prolong the shelf life? Arrowroot is similar to cornstarch in that it lasts indefinitely. Seal in an airtight container and use as needed. I agree. And it’s easy to keep stocked on what you use the most. You’re welcome Gwen. I’m glad you stopped by. I love homemade mixes this will be awesome! Thanks so much for sharing your post with us at Full Plate Thursday and have a great weekend! Made it. Super simple. Works great. Thanks for sharing. Made it. Could not believe the difference in rise and texture. Tried oatmeal scones first and could not believe the tenderness and rise. Thought maybe it was a fluke so tried coconut oil biscuits, talk about melt in your mouth?. Wow what a difference, will never go back to store bought. Thank you so much for sharing this recipe.